This past holiday season we did a lot of fun and beautiful parties at The Warren City Club in the Virginia Highland neighborhood of Atlanta, GA. One of the prettiest was a winter wonderland theme the host called “Holiday in the Clouds.” The Warren’s warm atmosphere was an ideal venue for this beautiful party. We had a balloon entrance of gold, silver and white balloons with ice blue, white and silver flowers. 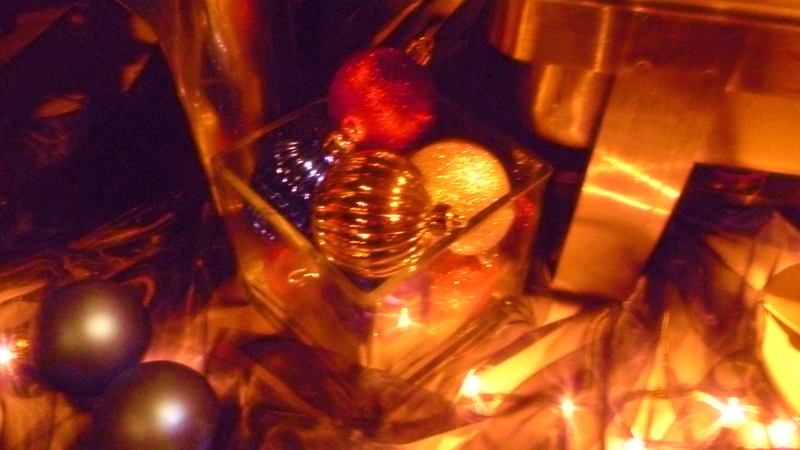 In keeping with the Christimas spirit, centerpieces on the tables and at the buffet were arrangements of Christmas tree ornaments. Since the theme invited colors of ice blues, silvers, and whites, with lots of soft whites and fluffy textures, for the flowers we used big white hydrangeas, silver brunia berries, Argentum Silver Tree, a feathery soft protea, and blue delphinium. 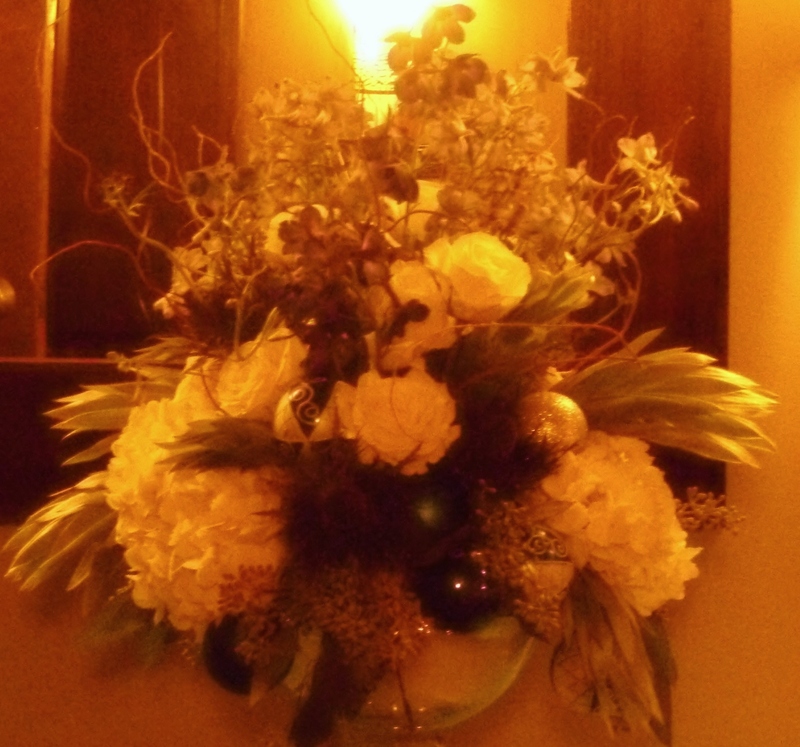 We incorporated blue, white and silver Christmas ornaments into the arrangements to add some sparkle. The containers were gorgeous clear glass with silver bases, so for the entrance arrangement, we lines the bowl with white cotton to add the feel of snow and clouds. Everything was soft and sparkley, like a Holiday in the Clouds! 09 Dec	This entry was published on December 9, 2011 at 9:00 pm. It’s filed under Centerpieces, Corporate Events, Romantic and tagged Argentum Silver Tree, Atlanta, balloons, blue, centerpieces, Christmas, Christmas Ornaments, flower, holiday party, hydrangeas, silver, Virginia Highland, Warren City Club, white, white cotton, winter wonderland. Bookmark the permalink. Follow any comments here with the RSS feed for this post.